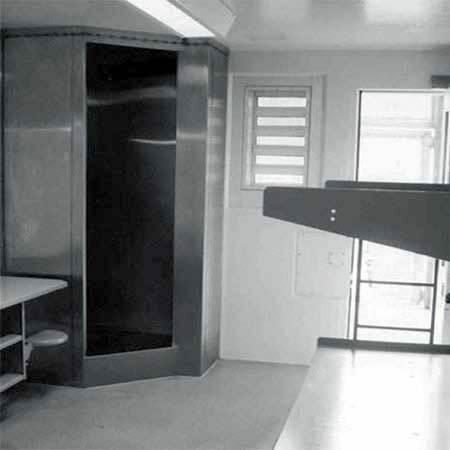 HARRISBURG (WSKG) — Pennsylvania is being sued by five inmates for a blanket policy that keeps all death row prisoners in solitary confinement. The American Civil Liberties Union and Abolitionist Law Center are arguing in federal court that the treatment is cruel and unusual. The commonwealth has 156 prisoners on death row — and according to the filing, 80 percent of them have been there more than a decade. They’re likely to stay there for a long time — Governor Tom Wolf instated moratorium on capital punishment when he took office in 2015, and even before that, the state hadn’t executed anyone since 1999. Walczak called the practice “inhumane psychological torture,” citing a Justice Department Studythat concluded solitary should only be used in limited cases — for punishment or the protection of other inmates. Death row inmates in Pennsylvania typically spend 22 hours in their cell every day, though the Corrections Department noted, those with mental illnesses get extra time out for treatment. It’s on the harsher end of policies nationwide. Of the 31 states that still have capital punishment, the commonwealth is one of 20 that allow inmates less than four hours outside their cell per day. The state Corrections Department didn’t elaborate on the reasons for the policy.